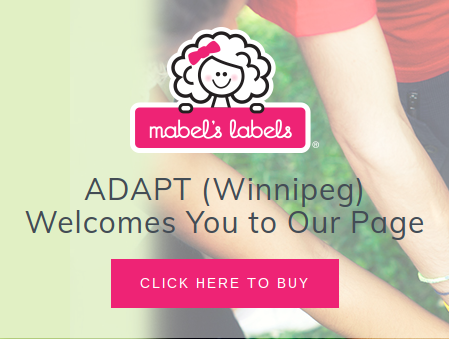 We are Manitobans, and winter is long! So a bit of cold weather shouldn’t mean we get stuck inside. There are lots of ways to get out and embrace the season, and here is a list of excellent places to visit. The best ones offer an opportunity to learn something, try something you haven’t done before, or build up skills in a hobby or interest. All of these places provide that opportunity. Our criteria were: these places are family-friendly, there is more than one thing to do, and there is somewhere to regroup if a break is needed. The best ones offer an opportunity to learn something, try something you haven’t done before, or build up skills in a hobby or interest. All of these places provide that opportunity, and also are family friendly and offer a space to regroup if a break is needed. In addition to these options, it’s a good option to check what your local parks and community centres have to offer. Fort Whyte offers an interpretive centre, trails, and lakes for people to explore nature in lots of different ways. Winter options include ski trails, skating, ice-fishing, Nordic (or regular) walking, or renting snowshoes to tread the snow-laden forest floor. 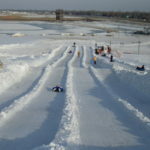 There’s a very tall toboggan slide, which might be daunting for the faint-hearted but will appeal to those who like speed. Warm up by exploring indoor exhibits or enjoying a snack from the cafe. Also, check out their calendar for regular special events and learning opportunities. You could make a case that the zoo is more fun in the winter than the summer, at least on a mild day – there are sheltered exhibits all through the zoo where you can warm up. Many animals are active in the cold weather. The Polar Playspace is always a favorite, next to the cafeteria with a gorgeous view of the polar bear exhibit. Best of all, they are offering free admission to children from December 23, 2016-January 8, 2017. Out in the park, there is a duck pond for skating and a toboggan run located just south of the pond. You can lace up skates and warm up by the fireplace inside the Qualico Family Centre at the edge of the duck pond, or enjoy some hot chocolate or a bite to eat at the Park Café. You can check out Manitoba artwork on display in the pavilion. In the holiday season, a festive Christmas display is located in the park’s conservatory. Find out about special events on the Assiniboine Park website. There’s a bit of everything at the Forks…which means if one activity isn’t going well, it’s easy to switch gears and try something different. It’s a great place to skate – stay at the pavilion to contain the adventure, or for more adventurous and confident kids, you can explore one kilometre of skate paths or go down on the river. There’s also a rink open for pick-up hockey or free skaters. Skates are available to rent from 10 am to 10 pm ($3 kids, $5 adults). For those who like a challenge, the Snowboard Fun Park features a variety of rails, table tops, jumps and fun-boxes. There’s a sledding hill behind the Inn at the Forks which is great for young tobogganers, and then lots of places to warm up and get a treat, including ice cream if you’re so inclined! Kildonan is one of Winnipeg’s largest parks, and offers sliding, walking, a large playground, and a skating rink beside the toboggan slides north of the Chief Peguis Pavilion. There is a washroom and ‘lounge’ in the basement and a restaurant on the main level. For a quick outing, the path around the duck pond is a good distance for short legs. St. Vital Park also features cross country ski and walking trails, two toboggan slides, and skating on the pond, with a warm up shelter nearby. At Harborview Park there is lots of ice for skating, and paths for walking. 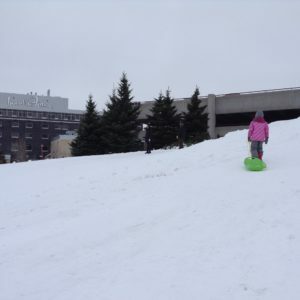 The spacious sledding hill near the parking lot is of medium height, so it isn’t too daunting. Washrooms and a warmup shelter are near the skating area. There are lots of paths for walking, and the play structure is also a favorite. Windsor Park Nordic Centre is all about family skiing. 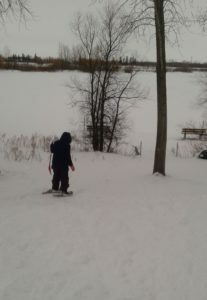 They offer 15 km of trails that are groomed daily. Ski equipment is available to rent for all sizes. You can even rent a closed sled to pull the baby. Jackrabbit classes offer an introduction to skiing for both kids and parents. Come in, warm up at the fireplace, and eat in the rustic clubhouse, which offers hot drinks and a snack bar. It’s a very family-centred organization, so if you are interested in cross country skiing it’s a great place to check out! All trails are lit for night skiing too, which would add an extra level of adventure. The marsh is frozen, but there’s still lots to do. At Oak Hammock Marsh in the winter, you can borrow snowshoes for a guided tour, or explore on your own. Or you can skate -they keep an area clear of snow close to the building, for those who wish to explore the marsh on skates. This area is also used for those wanting to play pond hockey. They provide hockey stick, sponge puck and nets. Warm up with a tour through the indoor exhibits, and stop at the cafe where you can stop for refreshment. Oak Hammock Marsh is not usually an especially busy place, and so is a great place for those who like to avoid crowds. It’s also a great place for photographers – animal tracks and winter scenery is abundant, and the view from the roof is always spectacular. 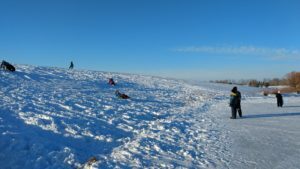 Just 10 km outside Winnipeg, Beaudry Provincial Park offers a beautiful network of ski trails (one set aside for parents pulling children in sleds). There are warming shelters throughout. For sensory seekers Adrenaline Adventures offers snowboarding and snow tubing. This one doesn’t quite fit the criteria because if your child isn’t enjoying the activity, you’ll have already paid a fair bit for admission. But if you’re pretty sure your child likes fast sliding, it’s a great special occasion outing.